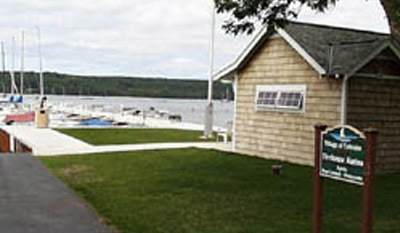 Our marina service building at 9969 Water Street provides showers and restroom facilities. There are seasonal slips, moorings, and transient slips available for rental. Launch ramp and parking. A rustic entrance at 9820 Water Street leads to two looped trails through seven acres of a regenerating wetland ecosystem. Parking. 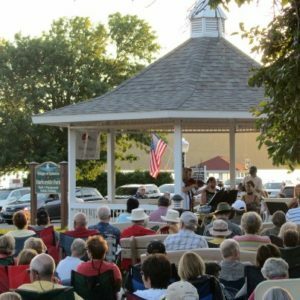 Located at 9986 Water Street and new in 2007, the park has a gazebo for summer concerts, playground equipment, benches and picnic area, public parking and a beautiful view of the Bay. 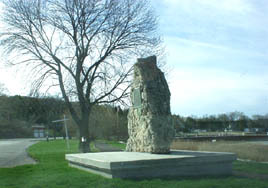 The Village Hall and Ephraim Library are located at 9996 Water Street, with public parks extending north and south along the water for picnics and watching Ephraim's sunsets. See separate page on this website for more information on the Ephraim Library, which has seasonal activities for residents and visitors alike. 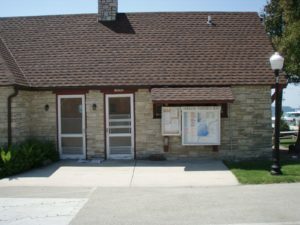 The Visitors' Center at 10049 Water Street has brochures and information for all businesses, arts and activities in the Village and surrounding areas. Sit on the back porch and look out at the water and Peninsula State Park across the harbor. Up on the hill at 10005 Norway at Highway Q, there are two tennis courts, a playground area, short-term parking for boat trailers. If you'd like to make a reservation for a court, it can be made through the Visitors' Center, or there is a drop box at the courts. The Firehouse Marina, Visitors' Center and Village office have maps available for our walking path, which runs from the Wetland Preserve to Anderson Dock and eastward. 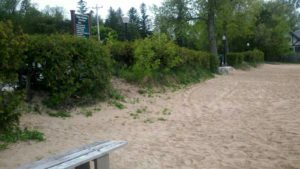 Purchased by the Door County Land Trust from the Anderson family, this 27-acre piece with entrance off Moravia will forever retain the pond, woods, wildlife and natural beauty for all residents and visitors to enjoy. 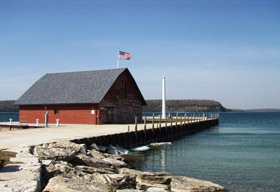 Built in the 1930s, it was the first firehouse in Door County and was used until 1990 by the Fire Department. 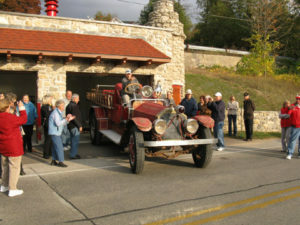 It has been restored to its former glory and became a Fire Museum in 2009.